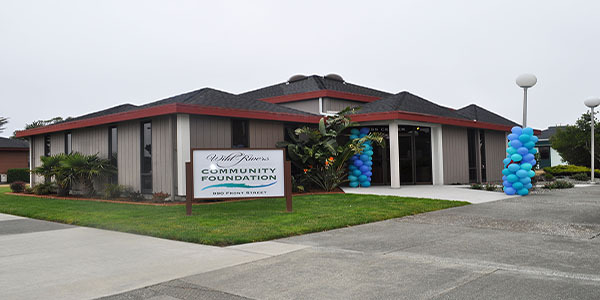 Wild Rivers Community Foundation (WRCF) is an affiliate of Humboldt Area Foundation, serving all of Del Norte and Curry Counties. WRCF promotes and encourages generosity, leadership and inclusion to strengthen our communities. Community foundations serve a vital and unique role in the community. They encourage individuals, organizations and companies to fund important community activities where they live and work. They also support the community in working together to promote common goals. They issue grants to support activities which will have positive impacts on the lives of the residents while bringing community members and leaders together to address social and regional challenges.